In nowadays lending world, crowdfunding offers an alternative to traditional bank funding or hard-money lending. Typically, crowdfunding is faster than traditional methods of funding and offers more room for flexibility. These are the main benefits that also apply to EstateGuru business loans. However, there are a number of features that distinguish EstateGuru from other lending options. Find out more below. 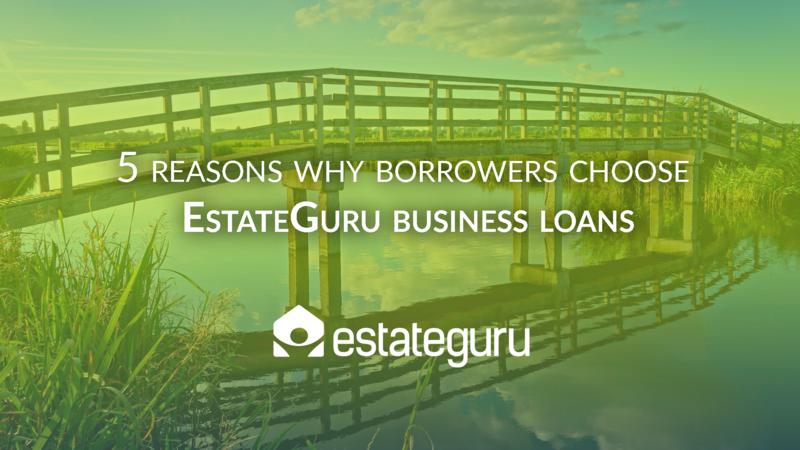 We asked 3 EstateGuru borrowers, what makes EstateGuru different from other lending options and what are the main benefits of using EstateGuru business loans. Read the points below or watch the video to find out what makes EstateGuru attractive for borrowers.